I almost doing my daily activities in an air-conditioned room everyday. Imagine how dry the skin can be, even my hands become very dry that requires me to always have a hand cream on my desk. I rarely using face cream that contains rich moisturizer because my skin is very oily and it will makes excess sebum production on my skin. 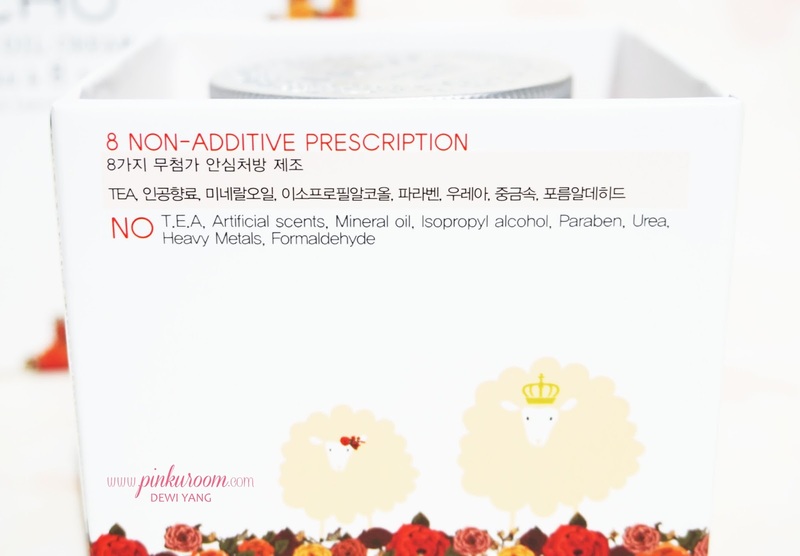 But for more than a week I tried using this Sheep Oil Cream because my skin texture is a little rough lately and I want to try some moisturing cream that maybe will works well on my skin. 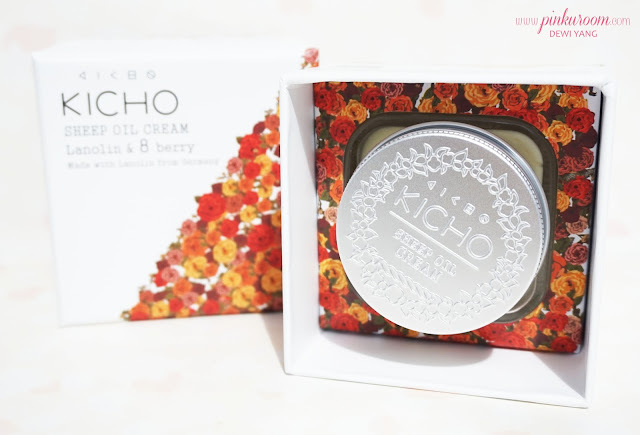 I just heard about this Korean cosmetics brand called Kicho and they actually have offline store not only in Korea but also in USA and Singapore! All of Kicho products use natural ingredients to avoid skin damages caused by harsh chemicals. 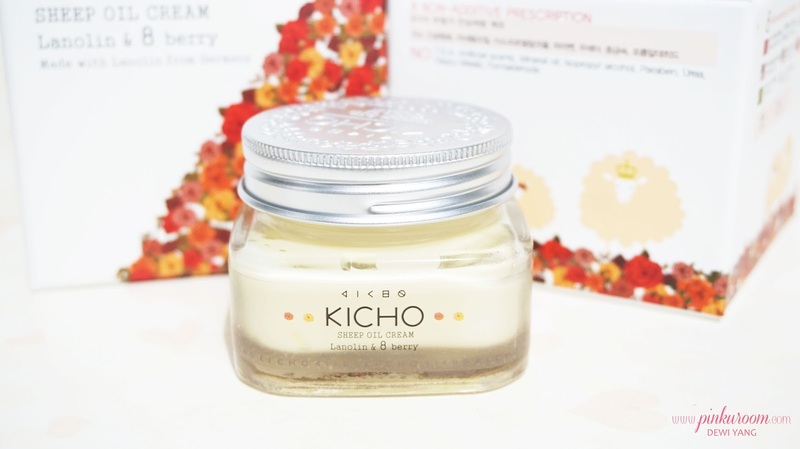 Not only skin care, Kicho also have Makeup, Brushes & Tools, and Hair & Body products. 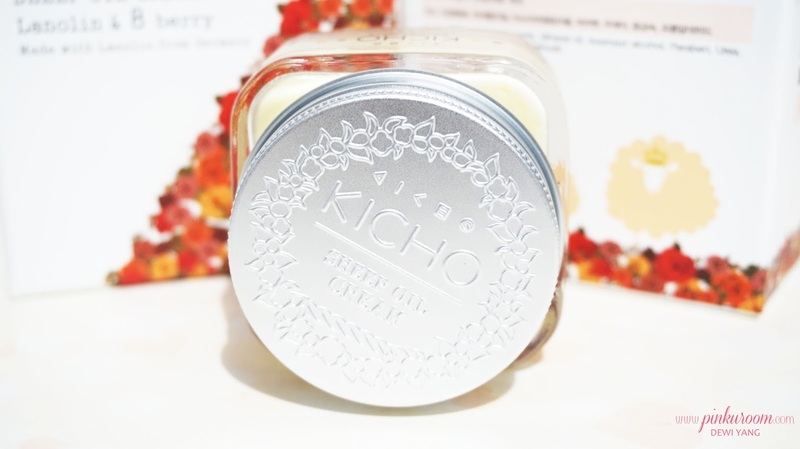 Kicho Sheep Oil Cream made with lanolin from Germany and contains Eight berries : Sea Buckthorn, Strawberry, Blackberry, Cranberry, Blueberry, Raspberry, Acai Palm, and Goji berry. 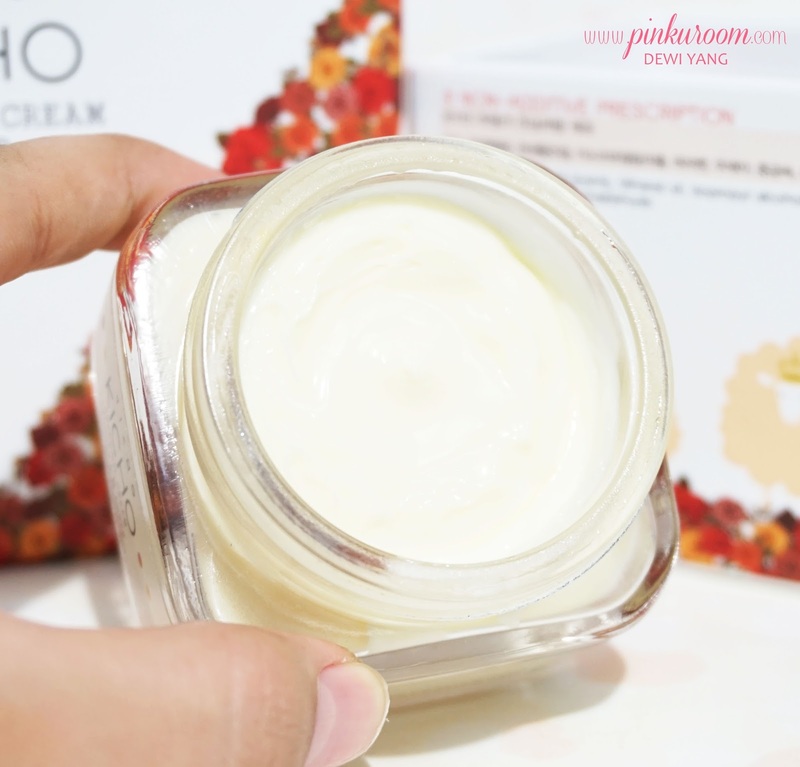 Lanolin is the only animal-based oil that can be obtioned without killing animals and it’s very similar to the sebum substances secreted by our skin. That’s why Lanolin is the best substances to replace the sebum of our skin. Lanolin used in Kicho Sheep Oil Cream is an oil from sheepskin and the processing technologies is the most important factors that determine the quality of a good lanolin. 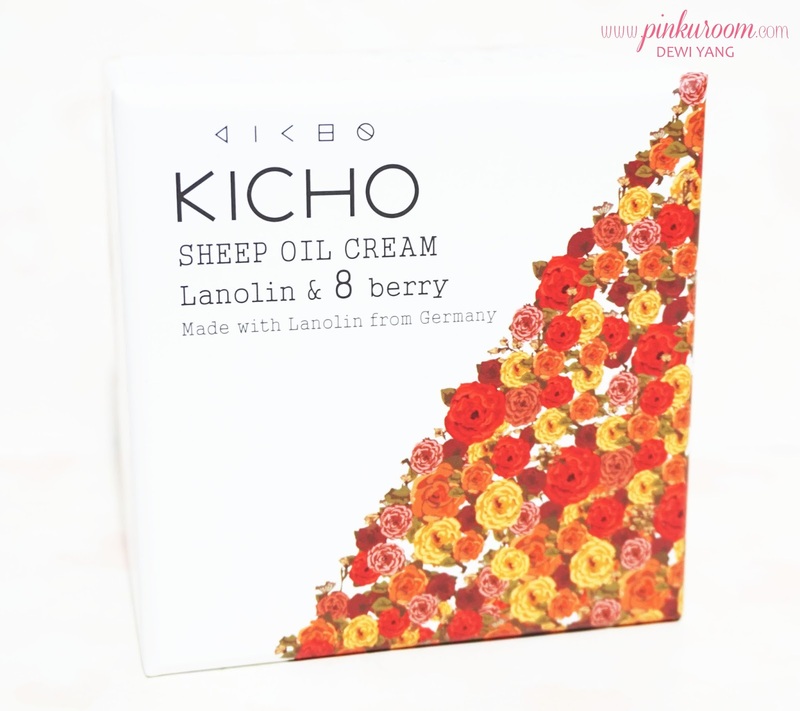 That why Kicho Sheep Oil Cream only uses lanonin that produced in Germany with their strict technologies. 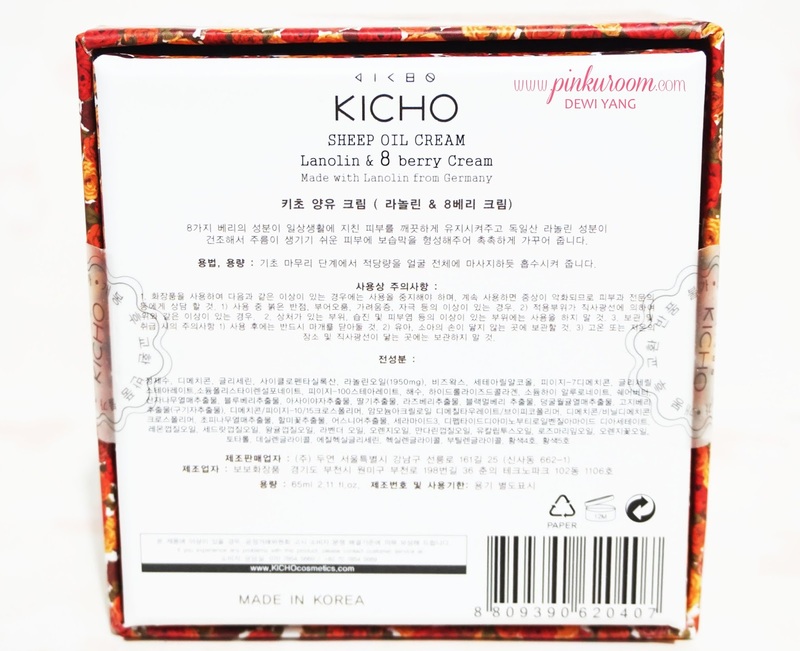 Kicho Sheep Oil Cream does not contain Eight non-additive prescription: Tea, Artificial Scent, Mineral Oil, Isopropyl Alcohol, Paraben, Urea, Heavy Metals, and Formaldehyde. 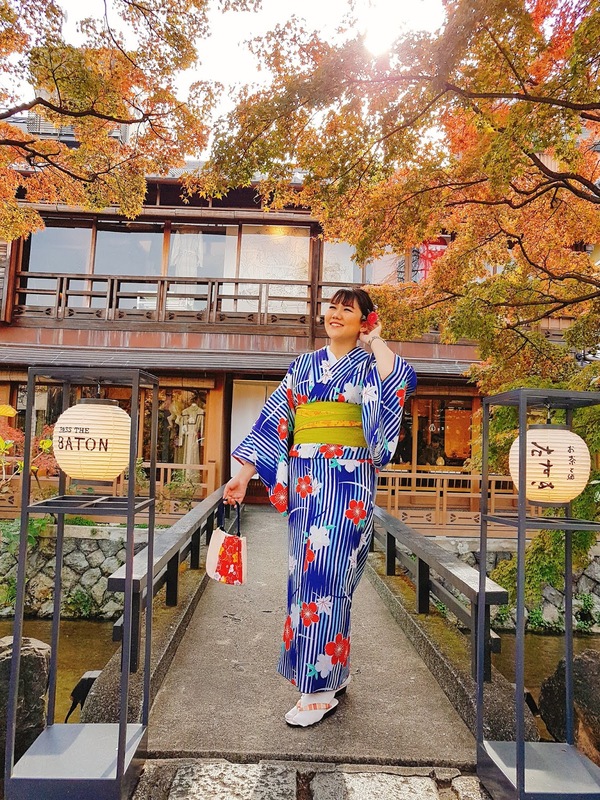 I used to prevent my skin from using skin care and makeup that contains parabens and it was kind of hard to look for natural skin care that does not contain paraben. 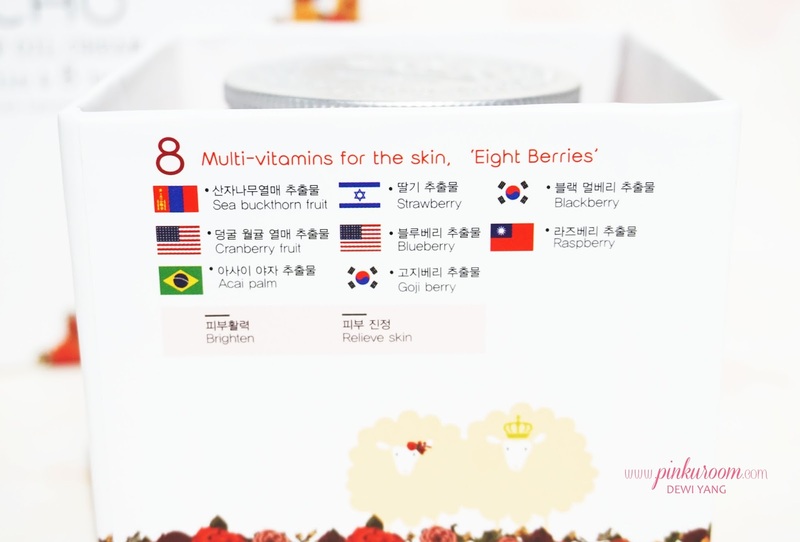 This is why I love to try and explore other Natural Skin Care that will suit with my skin problem. Look at every-single-side of the box, Sheeps everywhere! 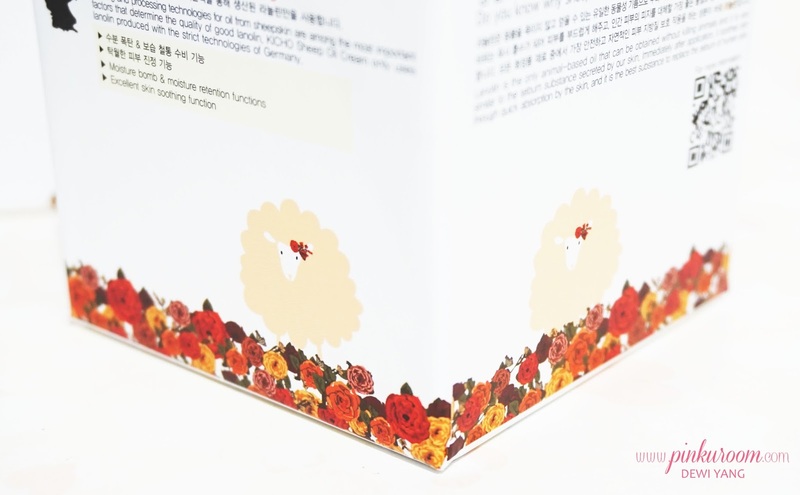 It’s so cute >.< Pretty packaging design inside and out, very detailed. 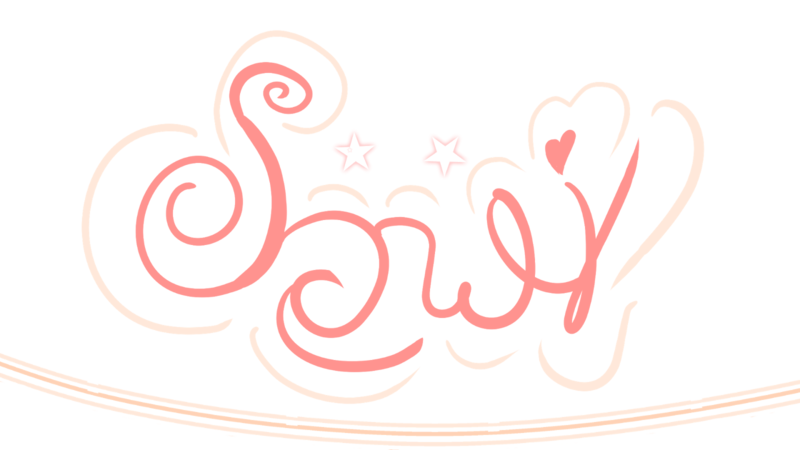 The jar is made from glass and kind of heavy but the cap is very light with silver color. 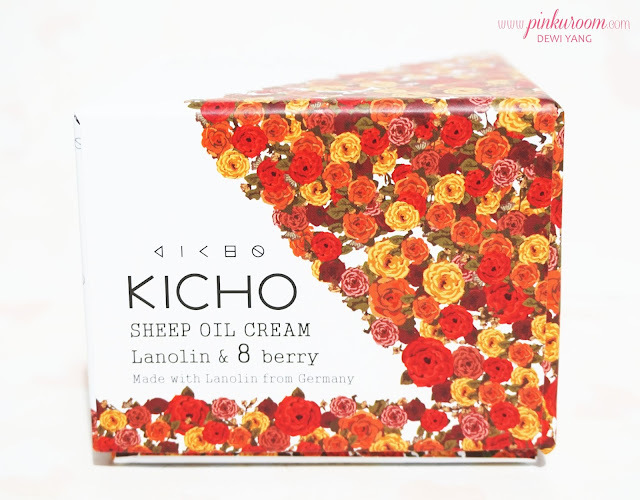 Kicho Sheep Oil Cream packaging is not too bulky so in my opinion you still can bring it when you are traveling. 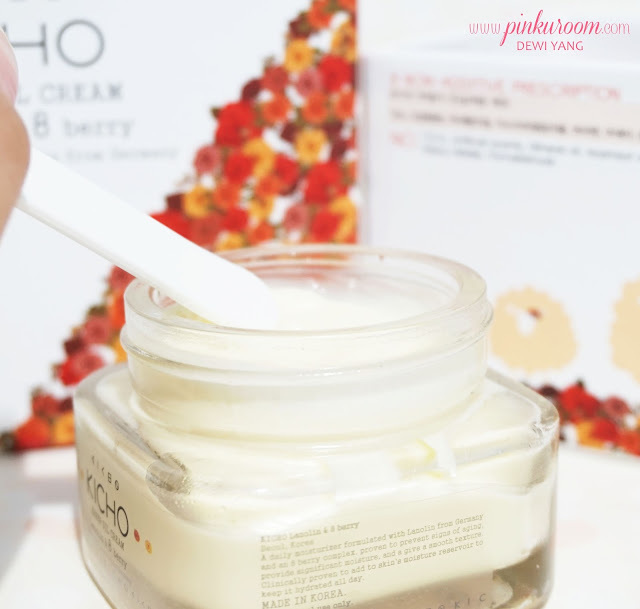 It does not comes with a spatula to scoop out the product but it’s fine with me because I have a lot of spatula from Korean skin care that I have tried haha. 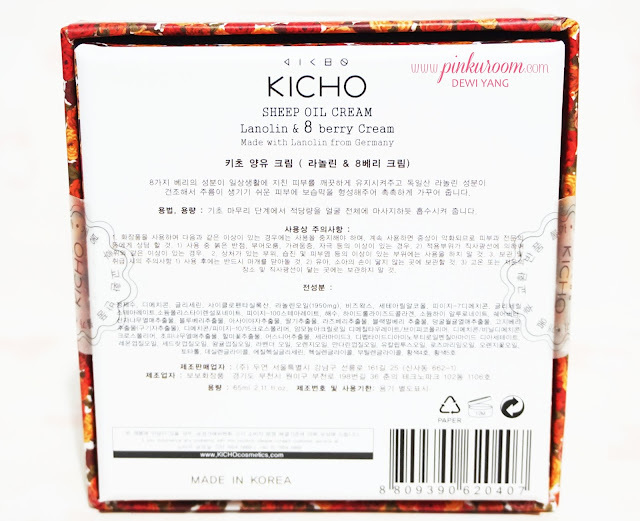 Kicho Sheep Oil Cream texture is dense but easily spread and absorb well on skin. 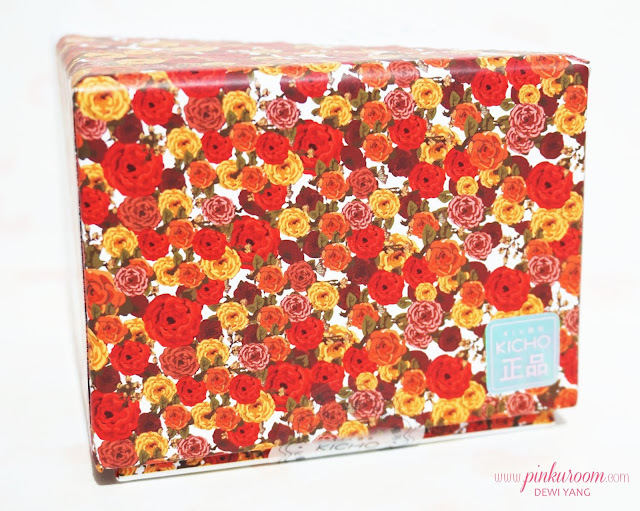 There’s cooling sensation when I apply the product on my skin and I like it. 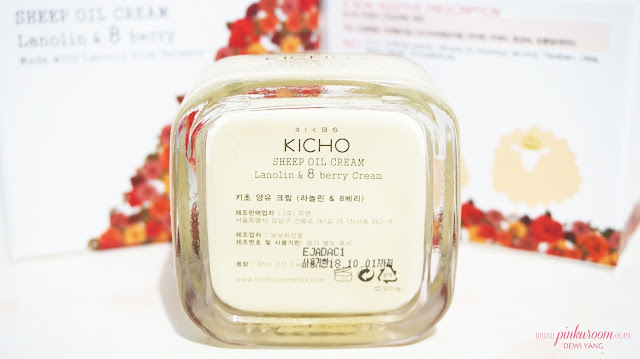 I only used Kicho Sheep Oil Cream at night before I’m going to bed and the next morning my face become very smooth and has better complexion. It’s very moisturizing and it has functions for anti-oxidizing, soothes irritation, corrects skin tone and firms skin. If you have dry or normal skin, you can use Kicho Sheep Oil Cream in the morning and night. 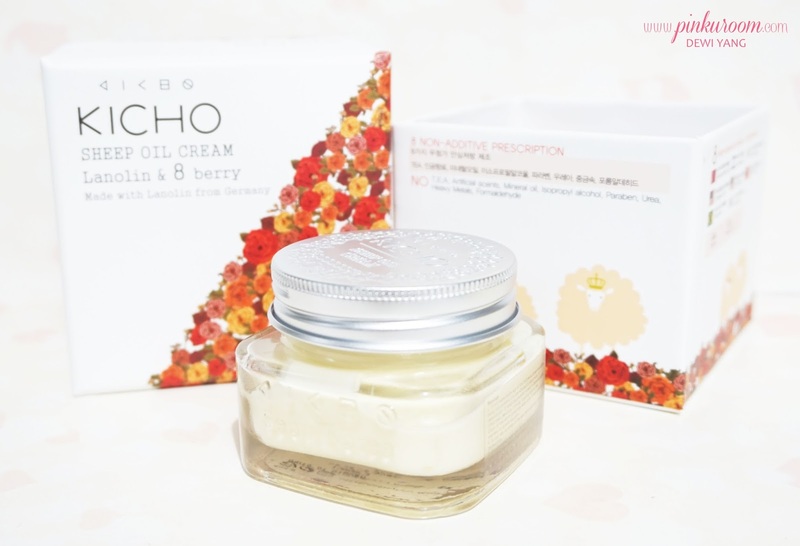 I don’t use this cream every night because the moisture is very rich. I’m using my usual skin care for one or two nights and then using this cream on the other night. I don’t recommend this for you who have very oily skin, but if you have dry to normal skin type this is perfect to maintain your skin moisture.